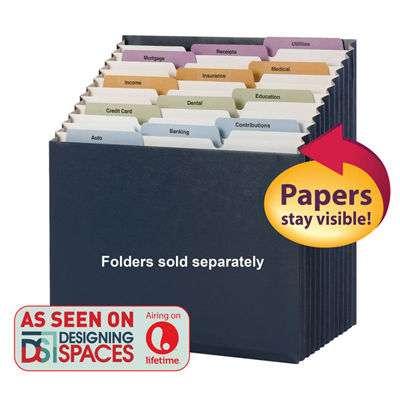 The Stadium® file is ideal for clearing clutter from your workspace or countertop. 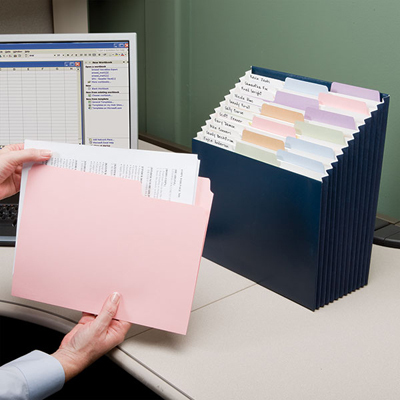 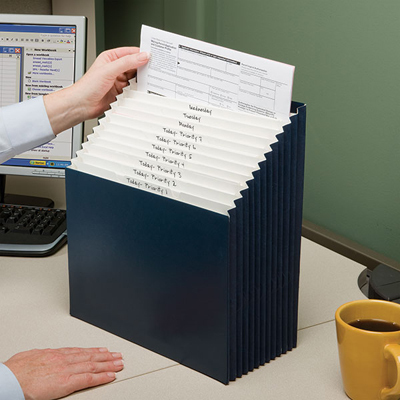 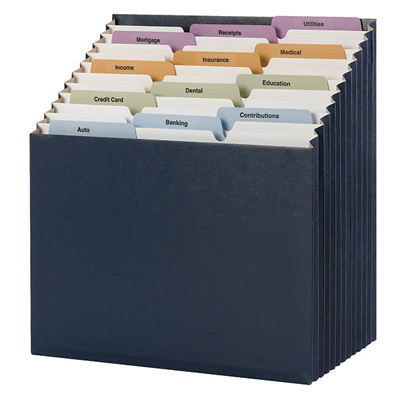 You can turn piles into files with this tiered expanding file that lets you see everything at a glance. 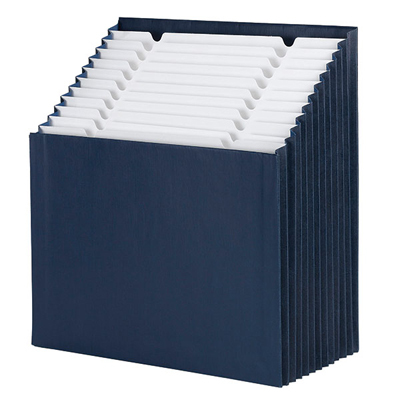 The pockets are tiered and fixed so the papers don't fall to the bottom of the file. 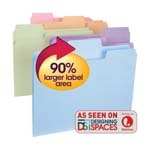 It is great for organizing both papers and folders. 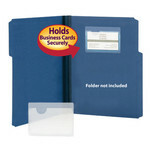 This organizer is available in 12 or three pockets and has fully-lined tear resistant gussets. 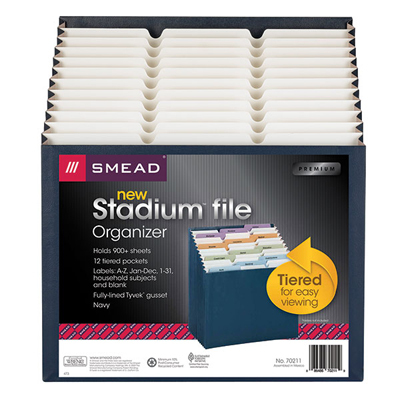 The 12 pocket Stadium file includes labels with alphabetic (A-Z), monthly (January-December), daily (1-31), household subjects and blank indexing.